This list is not all-inclusive and should be customized to your theme, destination and the guests. For example, depending on the location of your wedding, you might want to include a small fan, sunscreen or lotion. 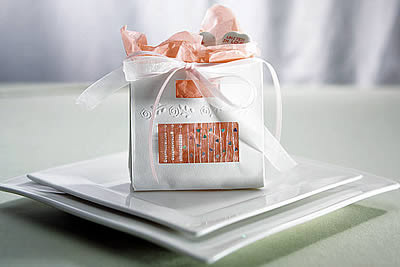 Don't forget that you have already purchased wedding favors that might be suitable for including in the gift bag!! What are you doing for your out of town guests? Share your ideas with us! WhereBridesGo.com - Where Brides Go for What Brides LOVE! !